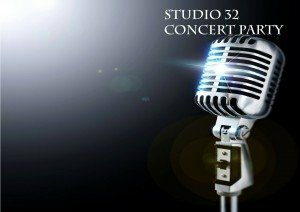 Studio32 have produced hundreds of shows! Many amazing songs have been learned, performed and placed back on the shelf. Concert Party is our way of enjoying our favourite songs long after the curtain has come down. We love to sing and entertain, but we also love to help our community to raise funds for great causes. We have a huge repertoire including your favourites from Les Miserable, West Side Story, Sister Act The Movie, Mary Poppins, Oliver, Calamity Jane and Oklahoma. If you have a fund raising event for your organisation or know someone looking to raise money for charity we can provide from 40 minutes to a full evening’s entertainment. Get in touch now to book us.